Talk show hosts and Twitter users have continued to respond. Liam Neeson continued to face fallout and criticism on Wednesday after he admitted in an interview earlier this week that decades ago he sought out racist revenge. The red carpet for his new film "Cold Pursuit" was canceled on Tuesday night, although the premiere of the film in New York City carried on as planned. Neeson appeared on "GMA" Tuesday morning to set the record straight that he's "not a racist" after an interview with The Independent earlier this week. In the interview, Neeson said that decades ago he wanted to "unleash physical violence" on a black man after a close friend revealed she had been brutally raped and that the perpetrator was black. "I went out deliberately into black areas in the city, looking to be set upon," he said Tuesday. "It shocked me and it hurt me. ... I did seek help. I went to a priest." "Luckily no violence occurred," he added. "Good Morning America's" Robin Roberts commended Neeson for revealing his story but also said he needed to understand how such comments could affect herself and the black community. "You also have to understand the pain of a black person hearing what you said," she said. 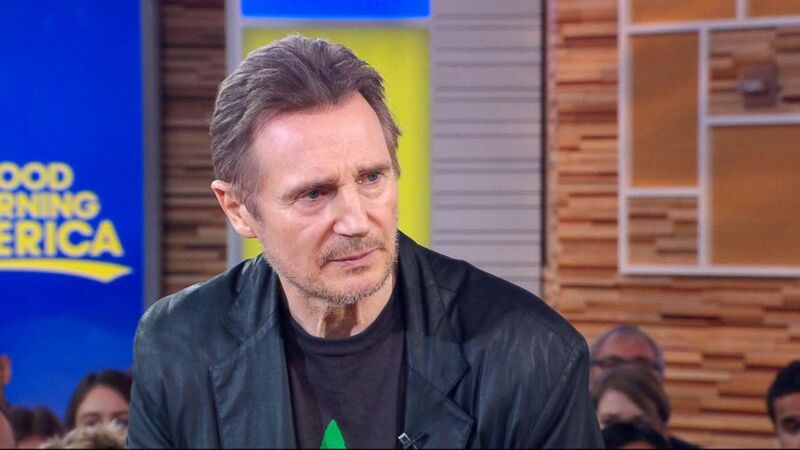 (ABC News) Liam Neeson appears on "Good Morning America," Feb. 5, 2019. "Sometimes you just scratch the surface and you discover this racism and bigotry and it's there," he added on "GMA." "Would you have had the same reaction if your friend had said it was a white man? Would you have wanted to go out and kill?" Roberts asked Neeson on Tuesday. Despite attempting to set the record straight, many people on social media and beyond were still shocked with the actor's original reveal. 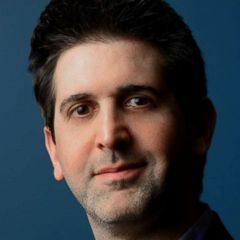 "I think he hasn't had a chance to really consider the impact his words have on black people," Hunter Harris, an editor at Vulture, told "GMA." "I'm not sure if he's so remorseful of telling the story or of the actual action of wanting to exact revenge, exact violence against a black person." "The View" host Sunny Hostin didn't mince words, either, when she said hours after the "GMA" interview, "What I can't understand is how you would go out and seek a random person of the same race to harm because that for me feels like a modern-day lynching." Sheryl Underwood, the host of "The Talk," pointed to the impact Neeson's admission could have, especially with it being Black History Month, but also commented on Neeson's intention to start a broader conversation. "We appreciate that he said something really real, and he wants the United States of America to face what we won't discuss," she said on her show. Former English football star John Barnes told Sky News that Neeson was talking about revenge and that "being brought up in Northern Ireland, he understands how destructive that can be." He added that it should be taken into account that he was "ashamed and horrified by the way he felt." He said Neeson was more focused on revenge than race. "It was easier for Liam Neeson to admit he wanted to commit hate crimes against Black people than it was to accept being called a racist," comedian and filmmaker Hari Kondabolu tweeted. It was easier for Liam Neeson to admit he wanted to commit hate crimes against Black people than it was to accept being called a racist. Activist Tariq Nasheed also said, "If a Black actor said he wanted to get revenge on random white people because of the injustices done by people who believe in white supremacy, he would be labeled a Black Identity Extremists and he would be placed on every FBI watch list. He would not be praised like Liam Neeson."